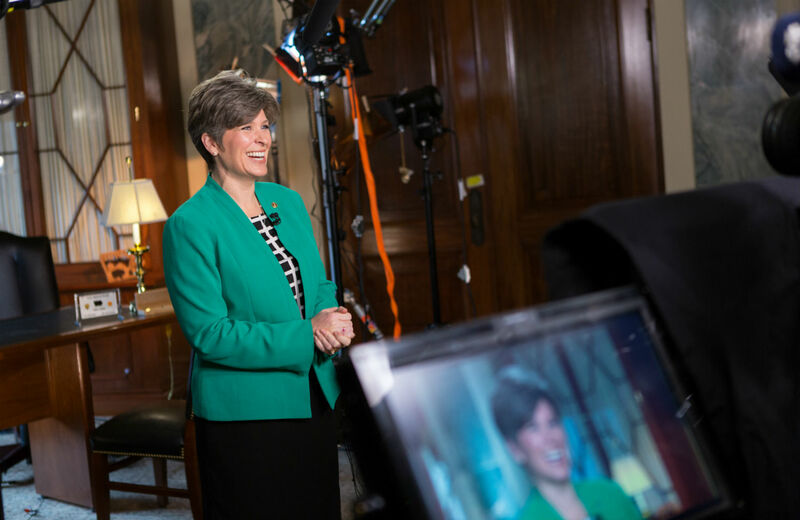 Considering the sorry circumstance of Republicans who have been tapped to deliver responses to President Obama’s State of the Union addresses, the party leaders who chose Joni Ernst to answer this year’s speech may not have been doing the newly elected senator from Iowa any favors. But the party bosses were respecting the influence of billionaire campaign donors Charles and David Koch, who were early and enthusiastic proponents of Ernst’s leap from the Iowa legislature—where she had served a mere three years—to the United States Senate. A year ago, Ernst was still something of a long-shot contender, even in the race for the Republican nomination to replace retiring Senator Tom Harkin, D-Iowa. Polls had her trailing former energy-industry CEO Mark Jacobs, a millionaire who was prepared to spend a lot of his own money to secure the nomination, and to take on Democrat Bruce Braley, a sitting congressman who had the advantages of name recognition and a substantial campaign treasury. But Ernst had some friends who would help her beat the odds. She had been active with the Koch-funded American Legislative Exchange Council, a network of right-wing legislators who sponsor “model legislation” crafted in conjunction with representatives of multinational corporations. According to The Hill, the Kochs took a “particular interest in helping her campaign.” Ernst was the first candidate in an open 2014 Senate race to benefit from “maxed out” personal contributions by the Kochs. And Koch-backed groups such as Americans for Prosperity and the Freedom Partners Action Fund poured millions of dollars into Iowa, where Ernst enjoyed a $14 million outside-spending advantage over Braley. Last June, she flew to California to attend a Koch-sponsored summit at the St. Regis Monarch Beach resort. There, she credited the Kochs and their billionaire allies for making her a contender. I was not known at that time—a little-known state senator from a very rural part of Iowa, known through my National Guard service and some circles in Iowa. But the exposure to this group and to this network and the opportunity to meet so many of you, that really started my trajectory. A tape of the closed-door event (obtained by The Undercurrent and shared with The Nation and Huffington Post), revealed Ernst and other candidates offering effusive thanks to the billionaires for the money they had provided at critical points in their campaigns. Ernst is heard praising “the folks in this room that got [me] my start…that backed me in this election cycle and primary…” And she told them that what they were investing in was more than just a Senate candidate in Iowa. Ernst declared that “we’re setting the stage for the presidency”—referencing the 2016 presidential race that will get its start with the Iowa caucuses. Keep that in mind when Joni Ernst responds to President Obama’s State of the Union address tonight. She probably won’t mention the Koch brothers or the other billionaire donors she praises in private for putting her in position to answer the president’s address. But she will be still be working on their behalf. As she challenges Obama’s message, she will be sounding the themes favored by her elite donors and setting the stage for their grab at the presidency in 2016.